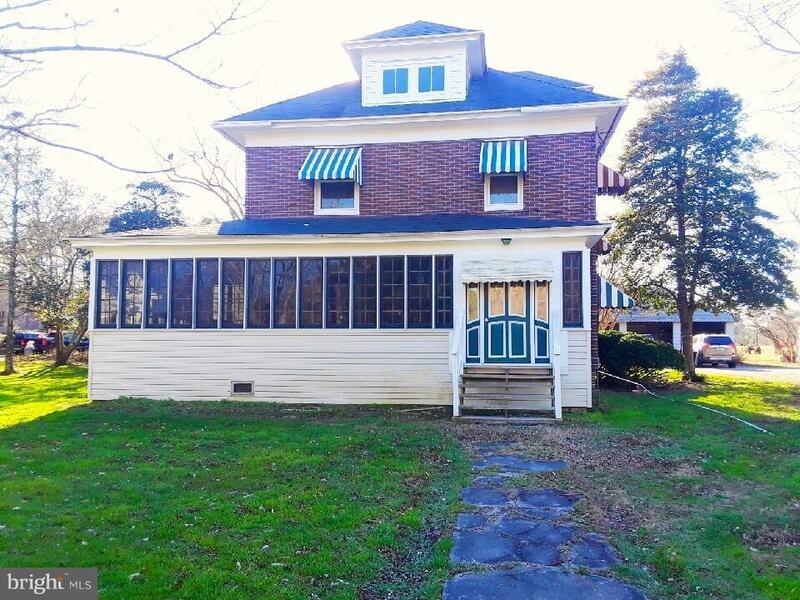 Beautiful 1915 home that sits on 1.2 acres. Original hardwood flooring extends throughout the entire house and you wont want to miss the gorgeous pocket doors. This home features a huge front porch that runs the length of the front of the home. Enter into the grand entry that showcases the original hardwood stairs to the right. To the left is a beautiful room that you can use as a formal dining or formal sitting room. Off that room is another beautiful room that shares the pocket doors. Find a beautifully updated kitchen with granite counters and new cabinets. Additionally there is a butlers pantry as well as a full bathroom downstairs. Upstairs you will find an updated bathroom with claw foot tub and 4 bedrooms. Access the attic by walk up stairs. The attic is partially finished with dry wall and has updated electricity. This house is a must see as pictures do not do it justice! Directions: Take 413 toward Crisfield. Turn right at Charles Cannon road.